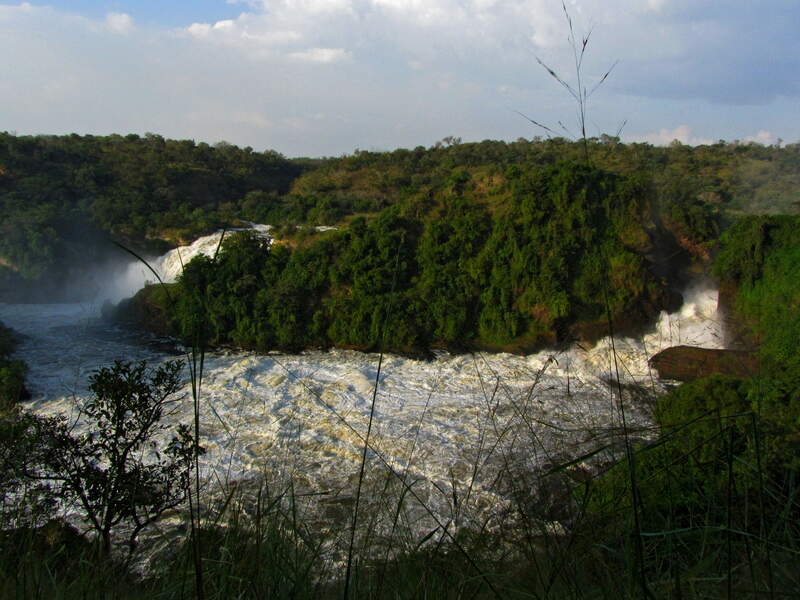 Murchison Falls National Park Waterfalls Animals: Uganda's most dramatic highlight. Only our Uganda Adventure Safaris gives you a completely representative picture of Uganda's nature in Murchison Falls National Park. 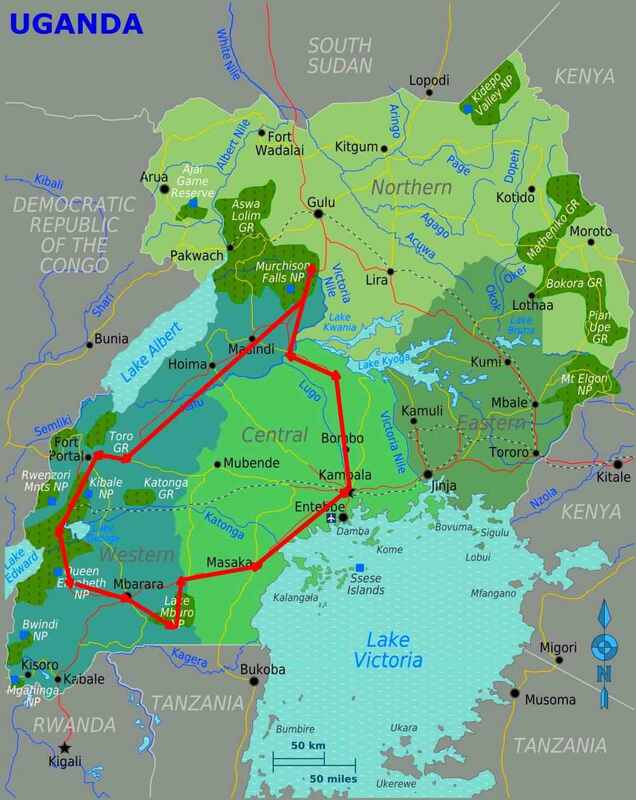 It is part of the 530,800 ha (2,049 sq mi) Murchison Falls Conservation Area (MFCA), which also includes the Bugungu Wildlife and Karuma Wildlife Reserves. 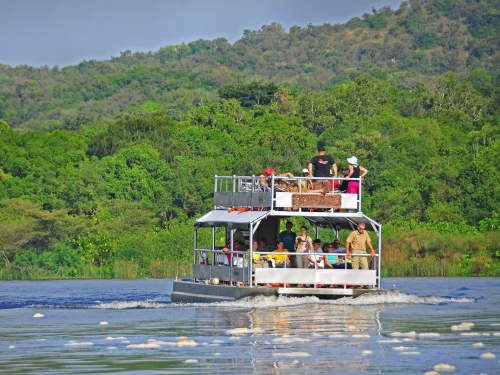 Originally gazetted as a game reserve in 1926, the area was declared national park in 1952, after becoming famous through the 1951 film "The African Queen" starring Humphrey Bogart, which was filmed on Lake Albert and the Nile in what is now part of the park. 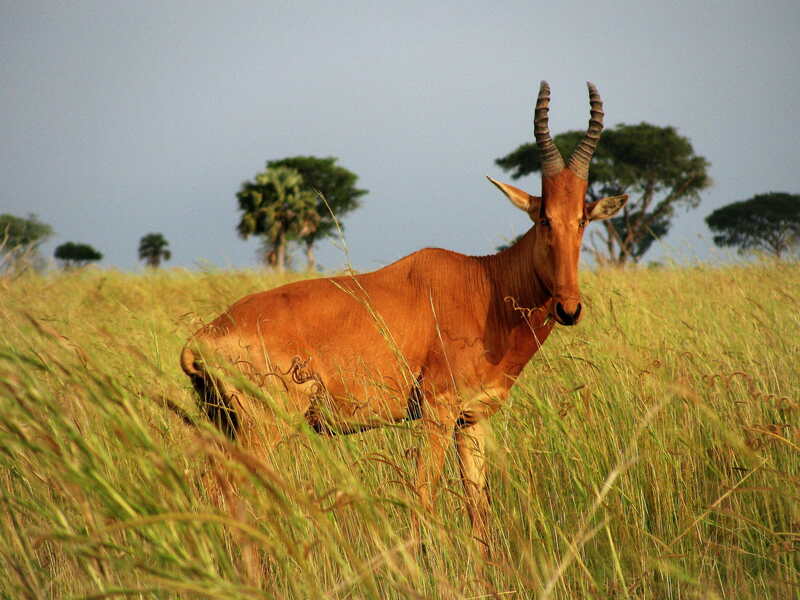 With its 384,000 ha (1,480 sq mi), it is Uganda's largest and one of its oldest national parks. Why Choose the Uganda National Parks Safari? Developed by our world-renowned national parks expert, Dr. Daan Vreugdenhil, this is the best safari on the market. Itinerary: UNESCO World Heritage Site and home to the Mountain Gorilla Bwindi Impenetrable National Park, Kibale National Park, Mburo National Park, Murchison Falls National Park, Uganda's most famous park Queen Elisabeth National Park, Ziwa Rhino Sanctuary, Kampala. Why Book a Uganda Tour Holiday with Us? Because for a very competitive price, you focus on the real national parks of Uganda without losing valuable vacation time in less interesting non-protected locations in the countryside. Our Uganda National Parks Safari naturalist guide really knows his birds and mammals, as well as the culture and customs of the people. as the Nile has to squeeze through a 8m wide gorge before plunging into the "Devil's Cauldron" to a level 43m below , showcasing its famous rainbow. 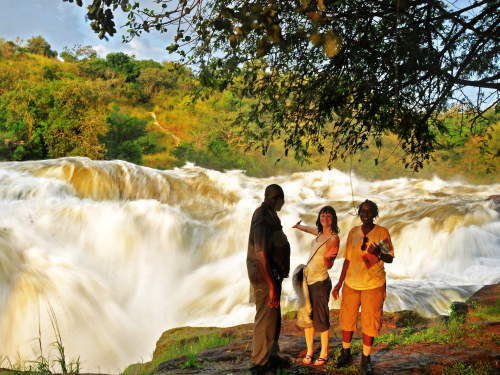 The park is the location of the famous Murchison Falls, where the waters of the majestic Nile River squeeze through a narrow gorge of 8m wide, before plunging 43 metres down. Before the falls, the Nile runs through 80km of shallow water and rapids, to calm down to a wide quiet river until it pours out into Lake Albert. The latter part contains some of Uganda's finest wildlife viewing areas. North of the Nile, lies northern end of the Albertine Rift Valley, where the Bunyoro escarpment tumbles into mainly savanna plains dominated by Borassus palms and Acacia trees, while the south is consists of woodland and forest dry forests; parts of the river are lined by gallery forest while other parts contain extended marshes. The Murchison Falls and Uhuru Falls or also known as the Kabarega Falls, are twin waterfalls on the course of the White Nile, that flows across Uganda’s northern region from the vast Lake Victoria to the deep Lake Kyoga as it continues to Lake Albert within the western arm of the great East African Rift. 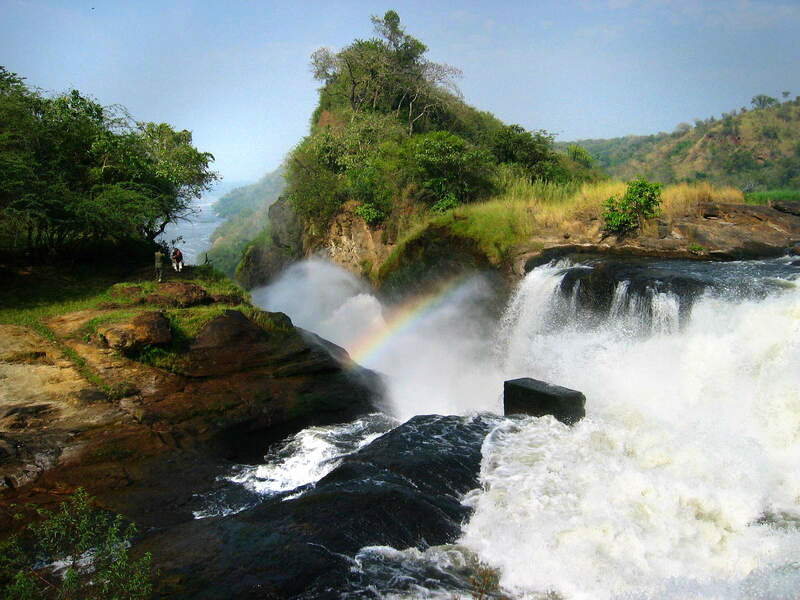 The Murchison Falls are formed by the Nile forcing its way through a narrow opening through the rocks, of 8 m wide, as it tumbles 43 m down with its stray forming a beautiful rainbows. Once down the water becomes quiet as it flows westward toward Lake Albert. Murchison Falls National Park Wildlife to be Seen on a Uganda Safari? 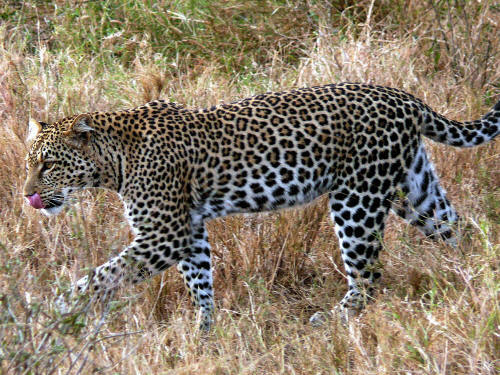 Murchison Falls Conservation Area (MFCA) is home to 76 species of mammals, including 4 of Africa's "big five": Cape buffalo, elephants, lions and leopards; Rhino's are notoriously absent as they have been hunted to extinction, but they are now being raised again in the Ziwa Rhino Sanctuary. The Murchison Falls National Park Wildlife list also has Uganda's largest population of Nile crocodile. 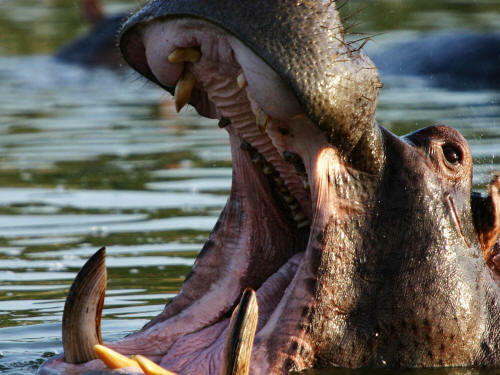 Other large mammals include Hippopotamus, Giraffes, many species of Antelopes, Uganda kob, Hartebeest and Oribi. What Birds to See on a Uganda Safari to Murchison Falls National? Murchison Falls National is a birdwatcher's paradise: 450+ bird species - included 59 'restricted range' species - have been recorded for the list of animals of Murchison Falls National Park. 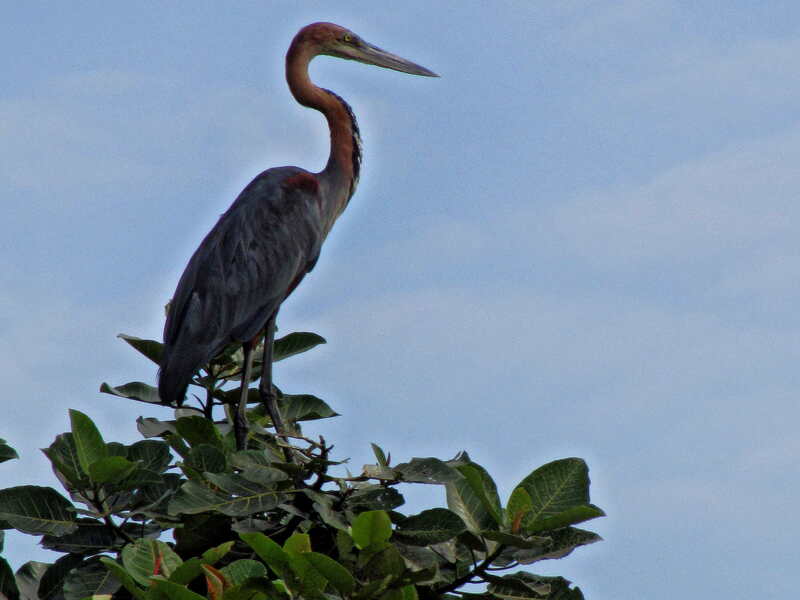 Aquatic birds include the rare shoe-billed stork, dwarf kingfisher, Goliath heron, African Fish Eagle, etc. 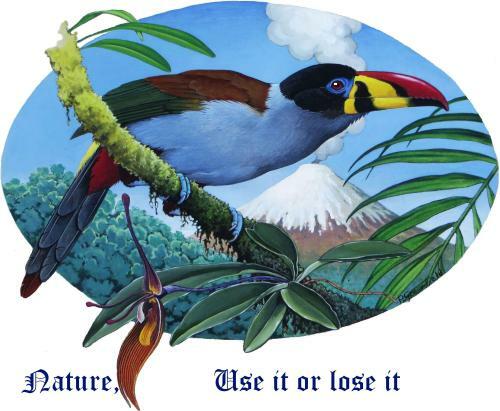 Terrestrial birds include the White-thighed hornbill and great blue turaco to mention a few. Murchison Falls as the water squeezes through an 8m gap. Visitors admiring the Murchison Falls. Boat below the Murchison Falls in the quiet waters below. 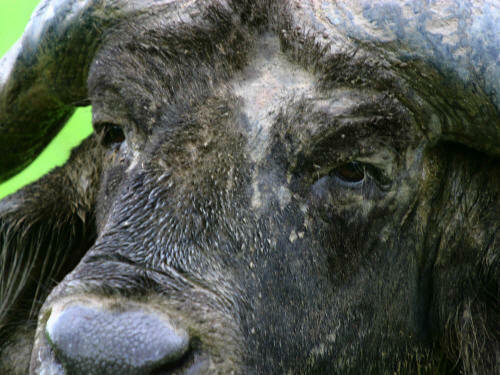 Murchison Falls National Park animals: Cape buffalo at the park. Goliath Heron along the river. 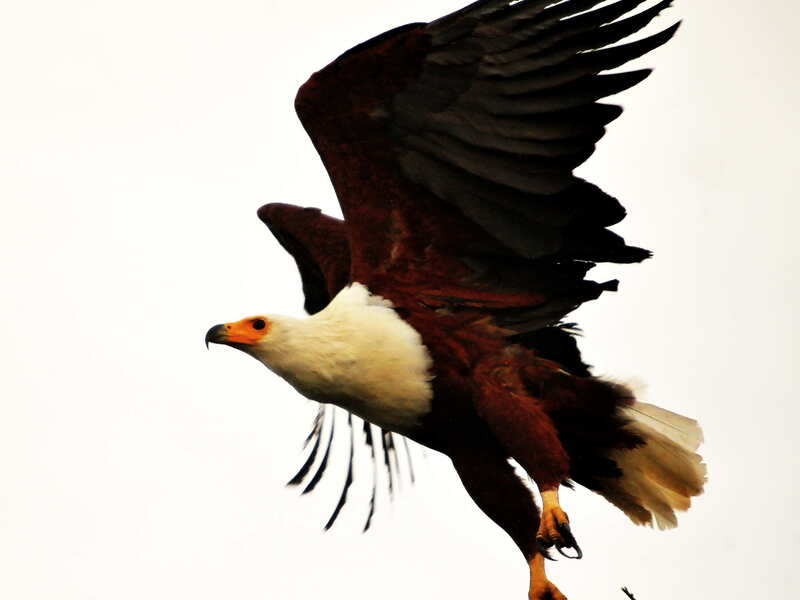 African Fish Eagle in flight. Panthers are among the Murchison Falls National Park Wildlife. Join us on this epic safari!